Moving your home or office set-ups can be an exciting task. The numerous opportunities that you foresee make your adrenaline rush high. But the seemingly endless chores of packing and moving can mount stress levels and put you in the backseat. Further adding to the stress are the weather conditions. 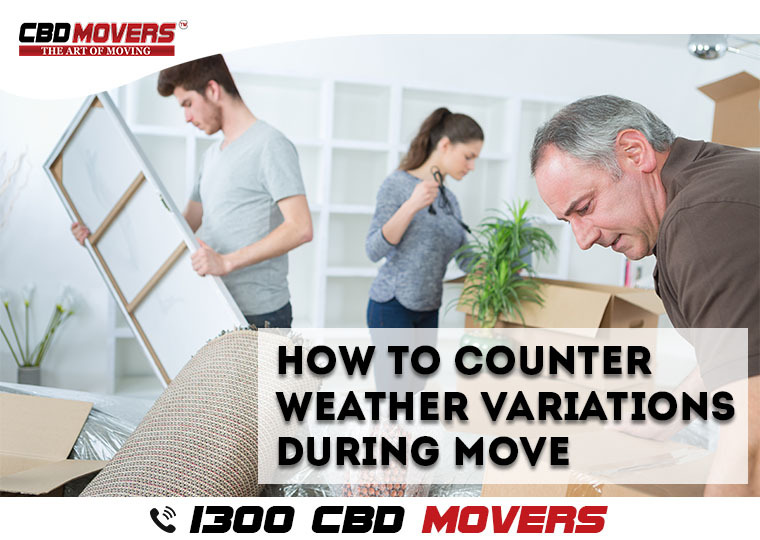 While spring and onset of summers are the perfect times to plan a move, one should avoid rainy, fall and freezing winters. But having said this, one cannot avoid a sudden relocation whatever be the weather. Instead, it pays to be cautious and watchful. Here’s a simple list of steps that can prove handy in any weather condition while moving. • Plan ahead – Plan as far ahead as possible. Pre-planning gives you the opportunity to choose the best and most trusted removalists in Perth. Pre-booking also helps you to pick cheap movers in Perth and negotiate the best deals in terms of services and rates. • Pack deftly – Packing is the key in any weather condition. Be it blistering heat or freezing chill, goods, and belongings that are packed skillfully beat the sneaky weather conditions, whatever be it may. • Right supportive equipment – It is advisable to hire the services of an agency that has the requisite wherewithal to undertaking all kind of equipment removal. This may include furniture, wardrobe, and consumer durables. The mover must have the capability to move bulky stuff as well as delicate breakable material. Right tools and techniques help to fight the harsh weather gods. • Fully equipped trucks – More often than not, one forgets that there are numerous belongings that need strict climatic control. Perishable items, polished products, and candles are to name a few. The mover should have climatic control equipment in its trucks so that the temperature can be controlled as per requirement. We, at CBD Movers, house the best interstate furniture removalists team. Besides being the most trusted house & furniture movers in Perth, we also excel in outclass office removals. Equipped with the right technology and armed with the finest personnel, we ensure the safest removal in the business. Call us at 1300 223 668, to know more about our outclass removal services and customized solutions.